If you're new to Alaska: The Last Frontier, you might not know what happened to its star Atz Lee Kilcher. 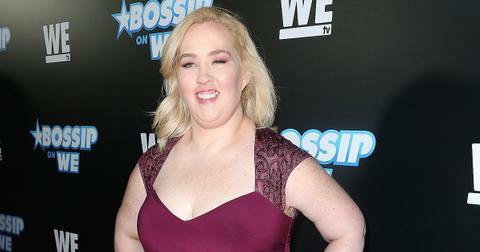 The 41-year-old, who has been on the show since its premiere in 2011, suffered a nearly fatal accident three years ago. In 2015, Atz was hiking in Otter Cave near Homer, AK, when he fell off a cliff. In a press release shared by his wife, Jane, the extent of his injuries were revealed. "Atz Lee Kilcher, an experienced hiker, suffered a terrible fall when hiking in Otter Cove," she wrote on Facebook. "His injuries included a broken arm, a broken shoulder, broken ankle , a broken hip, crushed ribs and two punctured lungs. He was hiking with a friend, who fell as well but sustained more minor injuries. It will be a challenging and long road to recovery for Atz Lee and the family appreciates everyone's good thoughts at this challenging time." Atz, who is also singer Jewel's younger brother, gave his fans an update, writing on Instagram, "Thankful to be alive and at home with my wonderful family. My broken bones are healing nicely considering how many I broke. Lungs are holding strong and every day I feel a little stronger. The temperature is dropping, leaves are falling to the ground and the busiest time of year is upon me, but I know my family has my back and before long I will be back amongst the walking. Work hard, dig deep, and never give up." 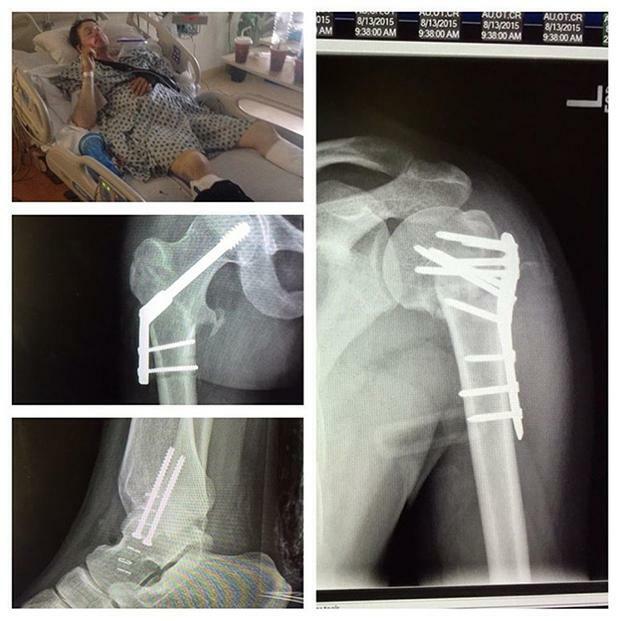 He also shared photos of his X-rays and from his hospital bed. "Still hard to acknowledge how bad off I was. Broken ankle, hip, shoulder blade, arm, two punctured lungs and over a dozen broken ribs," he added. "My recovery is going slow but steady to me but the DRs say I'm recovering fast all considering.working hard with my physical therapist and looking forward to running and jumping from trees and mountain tops again someday. Thanks to my family for being by my side and thanks so much to all the people that have been keeping me in your thoughts and prayers. Patience is my friend." The Discovery series chronicled Atz's injuries and recovery — and one year after the fall, Atz shared more good news about his progress. "A year ago today I was humbled by gravity, fear and friendship," he captioned a collage of photos from his hospital bed. "It's been a hard recovery but I can't complain all considering. I still have my health, family and friends and that is a blessing for sure. Thanks everyone for your support and good wishes, things are different now of course but all in all I am well." Thankful to be alive and at home with my wonderful family. My broken bones are healing nicely considering how many I broke. Lungs are holding strong and every day I feel a little stronger. The temperature is dropping, leaves are falling to the ground and the busiest time of year is upon me, but I know my family has my back and before long I will be back amongst the walking. Work hard,dig deep and never give up. Last year Atz filed a lawsuit against the Alaskan resort seeking damages. According to The Blast, the reality star is asking for $100,000 and claiming the resort was responsible for his fall. In court papers, Atz accuses Otter Cove of “inadequate guarded and/or warned of sudden precipitous edge of the land/drop. It is deceptive and dangerous," and alleges the resort "failed to adequately warn of and/or provide measures to prevent guest and other individuals … from falling over the precipice at the resort." However, the resort is fighting back and “den[ies] any liability, responsibility, or negligence." The resort also contends that if Atz was hiking on the property and got injured, "it was due to his own neglect, and not the responsibility of the resort." Lawsuit aside, Atz Lee and the Kilcher family is back for Season 8 of Alaska: The Last Frontier. 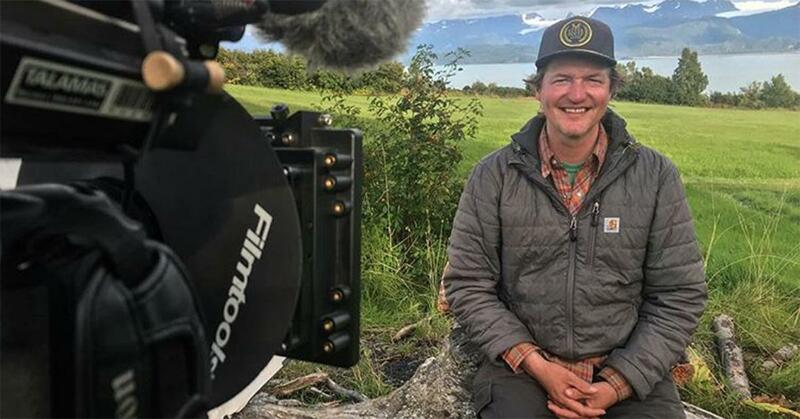 In a sneak peek of the show, Atz Lee and his wife will journey to Adak Island to find caribou, while his father Atz Sr. will try to transform his boat into a home. Oh, and Jewel returns to the series to teach her young son, Kase, the skills he needs to survive on the homestead. Watch Alaska: The Last Frontier Sundays at 9 p.m. on Discovery.